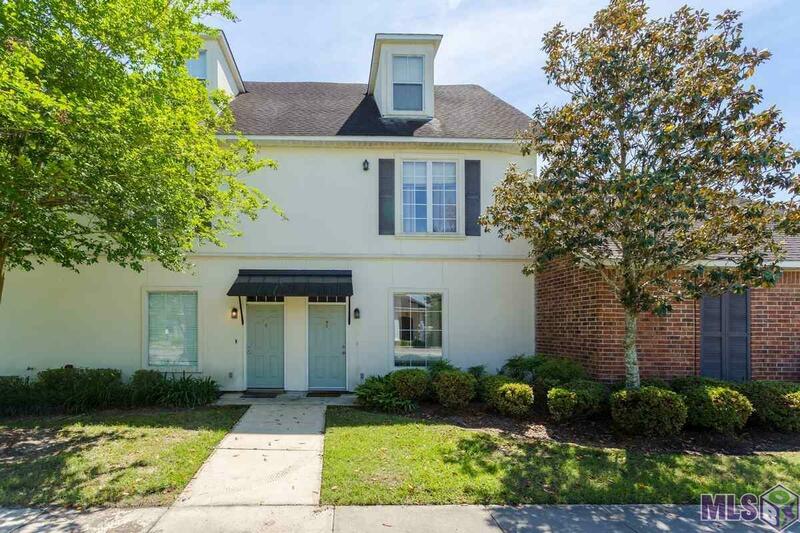 This spacious 3 bedroom, 3 1/2 bath Townhome is in a gated community only 1 mile from LSU. A great location for any college student looking to be conveniently located near LSU and downtown. This floor plan features an open kitchen/dining room area, island and walk in pantry along with a desk area, 1/2 bath and living room downstairs. The second floor offers two bedrooms with each having their own private bath and walk-in closet. The third story offers a private suite with a private bath and walk-in closet. This unit is located conveniently across the street from to the clubhouse, pool and tennis area along with a hot tub, media room and workout room that this complex has to offer. Another great feature the Subdivision offers is a police unit in the subdivision most nights and they typically park across the street from this unit in the common parking area. We have two assigned covered parking spots. and a private back patio area,With storage unit. It is in a flood zone X.